Despite being heralded as a “transitional album”, which saw a swing away from the blues-influenced covers and self-penned songs of the first two albums, there were still examples of those type of tracks on here. “Milk Cow Blues” was a robust cover of a classic blues, and the single “Till The End Of The Day” is, in many ways, a rehash of “All Day And All Of The Night”, while “Gotta Get The First Plane Home” and “When I See That Girl Of Mine” are still very mid-60s Rolling Stones-ish in both sound and delivery. 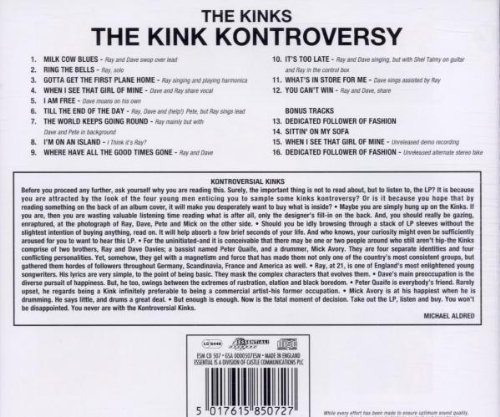 However, they remind me of The Stones’ “Aftermath”, which was recorded over a year later, so maybe The Stones were Kinks-ish! Ray Davies’ songwriting, however, is moving in the direction he would later employ for the rest of his career with songs like “I’m On An Island” and the riffy, powerful “Where Have All The Good Times Gone” (covered impressively by David Bowie on 1973’s “Pin Ups” and Bowie, I am sure, “borrowed” the bass line for 1973’s “Aladdin Sane”’s middle part). The soft ballad “Ring the Bells” almost sounds like early 70s “country rock”. 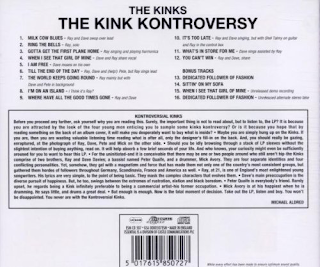 These songs were more mature and sophisticated, particularly when compared to the band’s raw earlier material. 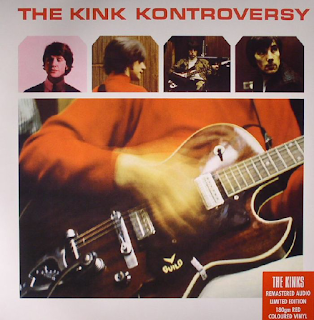 In many ways, “Kink Kontroversy” was the band’s “Beatles For Sale” - understated yet worthy of several listens. It is, however, as many 60s/70s albums were, very short. It is a pity the excellent, amusing single, “Dedicated Follower Of Fashion” was not included on it.